The timeline to your wedding day involves many moving parts, considerations, and anxiety-laden decisions. We're here to take the guesswork out of the beauty ones. We covered how to pick your makeup artist, and today we're sharing the information you need for perfect wedding day hair color, with help from famed colorist Rita Hazan and her salon. Follow this advice, and you'll be golden (or brunette, redheaded—whatever your dream color may be) on your big day. Keep scrolling for every bride's must-know color tips! First things first, if your wedding isn't too far off, Hazan cautions against trying anything new. "You need to feel like yourself on your wedding day, so if you have never colored your hair, don't start before your wedding." Instead, she recommends using a clear gloss for shine, which will enhance the color you do have without changing it, like the product below. If you've got at least a few months before your wedding, Rita Hazan salon senior stylist Carlina Ortega says it's the time to start planning and scheduling. "I think wedding color should be on your mind as soon as you say 'yes, I will marry you,''' she says. "If you already have a great hair colorist, then you can bring it up and talk together. If you aren't in love with your colorist, then start the search ASAP. To have the perfect wedding color, make sure you plan it out like you would any other important part of your wedding. You and your colorist should have chosen a color you love and that complements you on your big day. Most importantly, you can't just talk about it and wait to do it right before your wedding. You should have that color well in advance of your wedding to make sure it's right, and then touch it up a week before," she says. Says Ortega, "The worst mistake you can make is switching hair colorists or choosing a completely new hair color right before your wedding. You should have your wedding color thought out and planned months ahead of your wedding with a colorist you trust so there are no mistakes or surprises the day or week of." In terms of timeline, follow this rule from Ortega: "Getting your color done two weeks before your wedding is too early, and getting it done with less than one week before your wedding is too late. You want your color to settle, but be fresh. You also want to have enough time for minor tweaking, if necessary. "One week before your wedding is perfect," she says. "I tell all my brides to come in for your final wedding day hair color appointment a week before your wedding, because as long as everything is planned out with your colorist, it's the optimal time for every color. For the bride who's trying to cover those grays, anytime prior to a week and the grays will start showing. The same goes for the blond highlighted brides—you don't want your roots to show. And if you're a brunette with subtle highlights, a week is still the best, but you could get away with going two weeks before." In terms of caring for your color so it looks its best on the day of, Ortega says to always protect hair from the sun, salt water, and chlorine by applying conditioner before you get in the water. "This will coat your hair and help prevent any discoloration from occurring," she says. Additionally, she says not to use heating tools often, which will fade your color and dry out your hair. 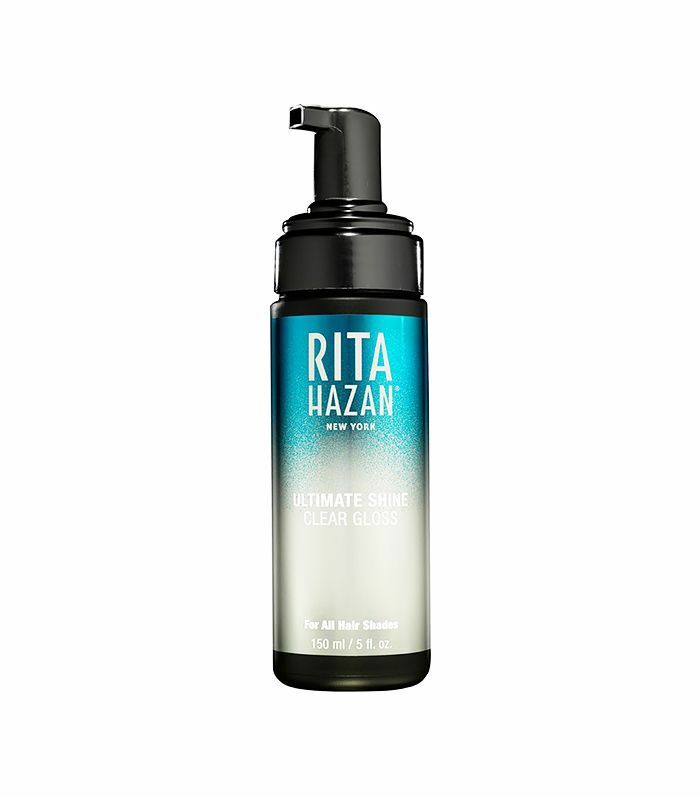 "If this is simply not an option, make sure to deep-condition your hair at least once a week with Rita's Weekly Remedy," she says (shoppable below). "It's a quick and easy at-home treatment that works wonders." Hazan herself recommends a combination of the Ultimate Shine Clear Gloss and Weekly Remedy, for an added layer of shine and smoothness. "The combination of these two products will help hair capture light better in photos," she says. Lastly, make sure to book your one-week-before-wedding-day appointment as soon as you book your initial consultation. "You don't want your colorist to already be booked on the one time you need them most!" Are you getting married anytime soon? What wedding-related beauty questions do you have for us? Ask us in the comments below! If you plan to do your own hair color for your wedding, click here for at-home color mistakes to avoid.